Whether you are calling a loved one or conducting business over the phone, the last thing you need is to be cut off at a critical moment. Dropped signals take on even more significance once emergency service providers are involved. Although there are many reasons why you may be experiencing weak signals or a complete lack of access to cellular services, there is a simple solution for making sure your cell phone works when it is needed most. Here is how a cell phone booster can improve your signal while enhancing your communications. At some point, almost everyone using a cellular device has experienced a dropped call. While an occasional signal lapse may be a minor inconvenience, it is a serious issue in areas where signals are frequently hard to access. Rural areas, large buildings and homes constructed with heavy materials are known trouble areas where a signal may be impossible to reach without a booster. 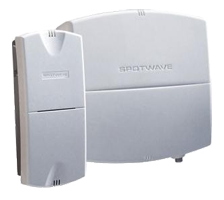 Cell phone boosters increase signal reception to a localized area through the use of antenna. This antenna is usually located on the roof of a building; however, in some cases, it may be possible for an internal one to be installed. Signals are received from the broadcast tower from the antenna and sent to an amplifier located in the building. This amplifier then makes the signal strong enough that it can be accessed by anyone in the localized area. A digital repeater can also take a received signal and retransmit it after it has been amplified. The benefits of cell phone boosters can be enjoyed by individuals, companies and emergency responders. Those using a cell phone booster in their home can enjoy uninterrupted calls while knowing they will have access to important information in the event of an emergency. According to the FCC, industrial boosters can also be beneficial for large stadiums, hospitals and airports where uninterrupted communication is essential for public safety. When placing an important phone call, no one needs to lose their signal. It is also becoming increasingly critical for anyone who relies on mobile technology to be able to count on their cellular service should an emergency occur. By installing a cell phone booster, you can increase your coverage while knowing that access to a strong and reliable signal is available whenever it is needed.